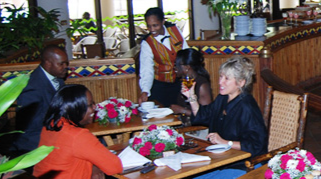 The Café Kigwa is located inside the Safari Park Hotel & Casino and billed as the only Café in Eastern Africa that is open 24 hours, 7 days a week. 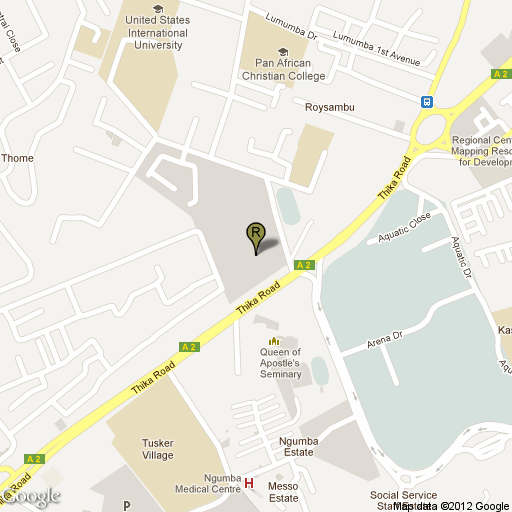 It specializes in serving buffet breakfasts (from 5 – 10 am) and buffet lunches starting from noon till 3pm. 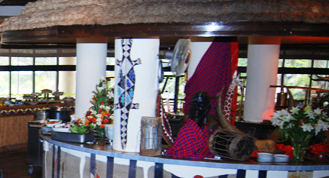 Café Kigwa is centrally located on the hotel grounds, overlooking the Kigwa inland beach and lagoon pool (to which it provides poolside alcoholic beverages). 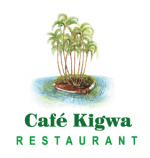 It serves an eclectic mix of dishes, ranging from Anglo-American staples such as burgers and salads to traditional Korean dishes such as Wakame and Kimchi. A live band plays for guests on weekends.